Elia is committed to providing a forum for exchange, fostering the development of business relationships with fellow members and other related international organizations, and promoting the concept of ethics and quality standards through the industry. The Globalization and Localization Association (GALA) is a global, non-profit trade association for the translation and localization industry. As a membership organization, we support our member companies and the corporate language sector by creating communities, championing standards, sharing knowledge, and advancing technology. To learn more about the value of membership, visit www.gala-global.org or follow us @GALA_global. Meet Central Europe is organised by four national translation associations active in the Central European region – Austria, Hungary, the Czech Republic and Slovakia. 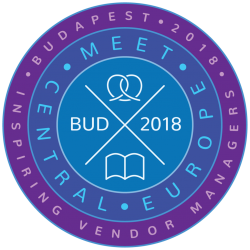 The event addresses the unique challenges facing buyers, sellers and translators of the more than ten languages in use in Central Europe. The EUATC is an umbrella body for national associations of translation companies throughout Europe, without being limited to the EU. The EUATC provides a united voice for language services companies and promotes the highest standards of quality and business practice. It also helps to improve the training of linguists across Europe.